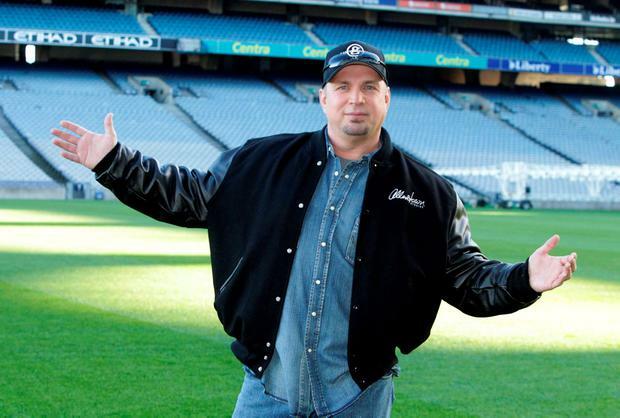 Four years ago we were on the cusp of the Garth Brooks/Croke Park/Dublin City Council stand-off which ultimately culminated in the cancellation of five proposed gigs at the Dublin venue in mid-July. Dublin City Council refused to grant a licence for two of the five Comeback Special concerts which were planned for late July and, rather than continue with three, Brooks opted to cancel all five. Many fans had already purchased tickets and were absolutely devastated to have to avail of refunds. However, it seems Brooks has not given up on the notion of returning to Croke Park. Irish fan Karen Green, from Tyrone, but living in Donegal, and her husband Barry Green went to see the artist at the CMA Music Festival in Nashville Tennessee this week. Karen had camped out for two days to buy tickets to several of the Croke Park shows as she wanted to see the opening night and the last show and during a Q&A with the singer she asked him if he was planning any Irish dates as part of his upcoming world tour. Brooks took the time to explain what happened for the crowd. "When it comes to Ireland, first of all when that happened, probably the most devastating thing ever," he said. "That's probably the saddest moment of my musical career, was what happened in Dublin, right after probably the coolest moment of my music career, selling 400,000 tickets in one sitting. To have to refund 400,000 tickets broke my heart. Not being allowed to play all five, I had to pick two to cancel. I said, 'screw that, I'm not going to do that to these people' so it was all or none." Brooks said that many Irish fans then travelled to see him in the US and thanked them for making the journey. "I've been lucky enough to see the Irish flag at just about every concert that we've got to do here, so I thank them for making the miles over here and I hope it was worth it," he said. "I will tell you this - I believe that things that start should finish so I have 100 per cent make the opportunity available to the people that make the decision in Ireland to get those shows back up and get them running again. "If and when they say yes I will be there," he added.